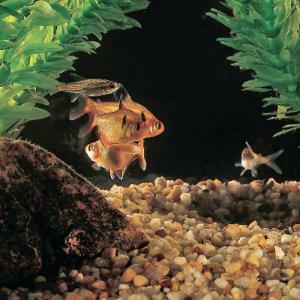 Choose from 2 popular sets of Tetras for your fish tank. Tetra Community Set: The hardy tetras in the set will include representatives from at least three species such as, Serape, Rasbora, Silver-tip, or Head-tail light. These fish will school together and require a 15 gallon or larger aquarium. Neon Tetra Set of 6: Cheirodon axelrodi. 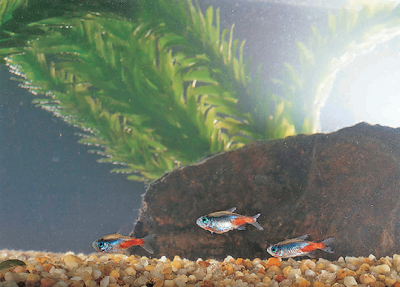 Small aquaria can be stocked with these small, brilliant blue and red schooling fish. Ordering information: These products contain living or perishable materials. Please specify a delivery date at order time. Fish are shipped via overnight delivery, additional charges apply.